Auckland offers a huge variety of different experiences and activities. No matter what your interests are you will find something to keep you occupied in Auckland. There are plenty of activities on offer for thrill seekers including sky jumping off the Sky Tower. It’s the tallest structure in the Southern Hemisphere. Those who don’t fancy jumping off it can simply head up to the top for stunning views of the entire city. The locals love their boats and there are around 70,000 boats in Auckland. If you visit you have to go on a boat cruise around the harbour to see the true beauty of the city. If you want to entertain the kids then make sure you go to Kelly Tarlton’s where you can see penguins and walk through the world’s first underwater tunnel experience. Here you can see sharks, turtles and a wide range of marine species. Another popular wildlife attraction is Auckland Zoo, which is home to the largest collection of exotic and native animals. Fans of nature will have the time of their life in Auckland. There are so many amazing wildlife trails and trekking routes within easy reach of the city. One Tree Hill is a great place to go walking, it’s the second largest volcano in the area and if you walk to the top you will be treated to jaw dropping views of the city. If you are looking for a green space inside the city head to Auckland Domain, this is a big park with pretty gardens and glasshouses packed with tropical plants. 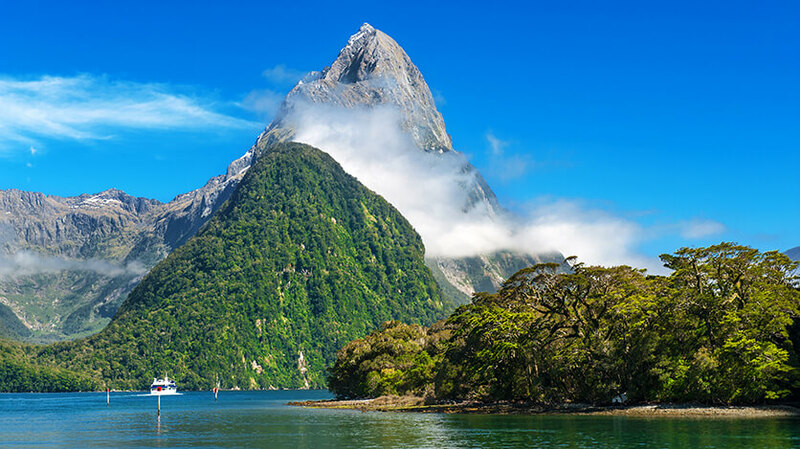 Other big attractions in Auckland include the Stardome Observatory and Planetarium, The Civic Theatre and the gorgeous islands that are reachable from the city. Auckland is also home to over 20 golf courses, some set amongst truly beautiful scenery.